BOSTON — Sunbury Press has released The Savage Apostle, John Kachuba’s historical novel, set in 1675 Massachusetts. John B. Kachuba is the award-winning author of six books of nonfiction and one short-story collection. Four of these books are about ghosts and he is a frequent speaker on paranormal topics at libraries, universities, and confer-ences and on TV, radio, and Internet podcasts. 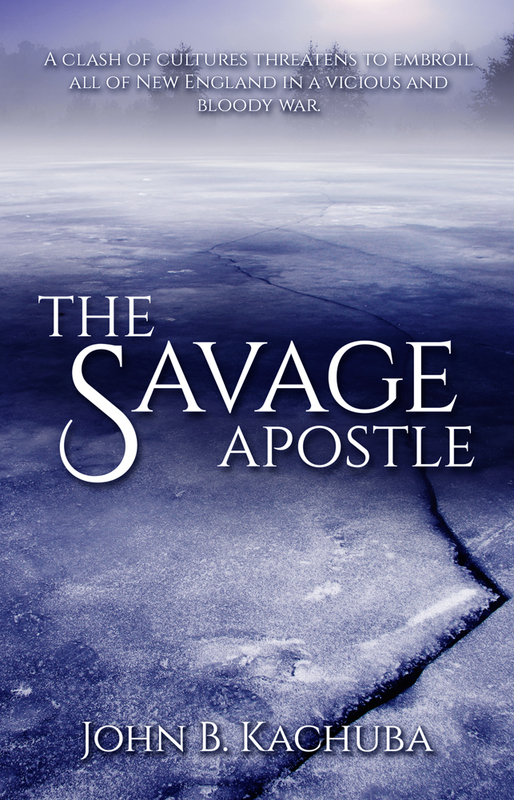 The Savage Apostle is his first historical novel, although he has written prize-winning historical short stories. His short story, “The Reich Photographer’s Tale”, about Hitler’s personal photographer, won the Dogwood Fiction Prize. We buried John Sassamon but a few days after the soldiers pulled his body from beneath the ice at Assawompset Pond. The grave diggers struggled to work their spades through the cold, brittle earth, finally gouging out only a shallow grave. Still, it was better he should lie in this hasty grave than wait for spring. Now, as the falling snow of a February storm hissed in the trees, I committed the man’s soul to eternity and the mercy of the Lord. Constable Howland, the woman, and the two Indian gravediggers from the village shivered beside me in the cold, listening to my eulogy. Snow swirled around the five of us huddled at the graveside, at times obliterating us in a white fog, at others revealing us suddenly as ghosts. The cold gnawed at my old bones. The storm muffled my words but it mattered little. I offered them up to God and heard them rise on the frosty air like the ashes of sacrifice. I could do no more. Not for this man. The woman stood mutely beside me wrapped in a painted deer hide, her face blackened with soot in the old ways of mourning. She had spoken few words to me since I had arrived in Nemasket and I understood that Algonquian custom would never again allow her to speak aloud the name of her dead husband, lest his spirit be called back to the land of the living. It was just as well. Many times had I wished the same custom would bind my tongue. Speak not in judgment, I thought, lest ye be judged. Yet, John Sassamon’s death was a blow to me. What more could I have done to prevent it?